1. 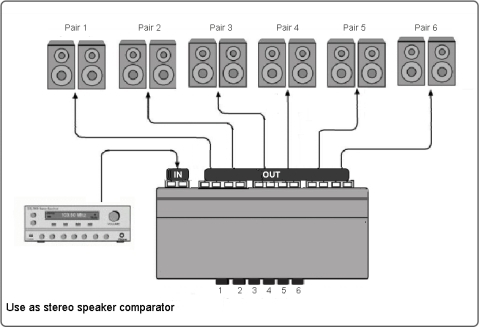 Select between several stereo amplifiers or stereo receivers to power just one pair of speakers. ․Passive design, no power required. ․Stick-on vinyl descriptor sheet to allow custom labeling. 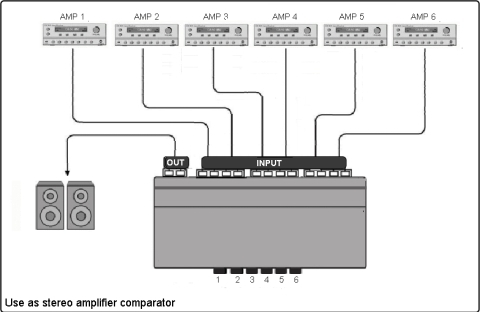 ․Independent channel L & R ground paths for compatibility with all Amplifiers. ․Push terminals provide quick and safe connection for speaker up to 12 gauge. ․Robust, deluxe steel metal housing.․Dimension:250mm x 110mm x 45mm.